What if the annual State of the Union was not a speech spoken by one, but a poem created by many? A couple of weeks ago, I facilitated a story circle for the USDAC People’s State of the Union with the students in my Communication and Social Justice course. Rather than a monologue from a single elected leader, the People’s State of the Union is a national dialogue. All around the country, community members met in living rooms, churches, community centers, classrooms, parks, and other public and private spaces to share personal stories about the current state and future potential of this nation. During our story circle my mind turned, as it often does, to the question of how we know what we know. Where do we turn when we seek truth? What counts as accurate knowledge? How do we come to understand the true state of our conflicted and striving union? Too often, it seems to me, we limit ourselves to a chosen few sources of knowledge, while ignoring the rest. We privilege the measurable over the elusive, numbers over stories, average trends over quirkiness and diversity. We idolize logic and dispassion, while discounting the wisdom of embodiment and emotion. In our striving for the “right” answer, we lose sight of the value of ambiguity, contradiction, and the possibility of multiple truths. As my students shared their stories, I was struck by how much we had to learn from one another. Embedded in our 14 diverse yet interconnected narratives was a wealth of knowledge about family and community, identity and ability, discrimination and acceptance, and what it means to truly belong. What if we, as a nation, opened ourselves up to the many sources of knowledge available to us? What if we looked to artists as often as we do to scientists? 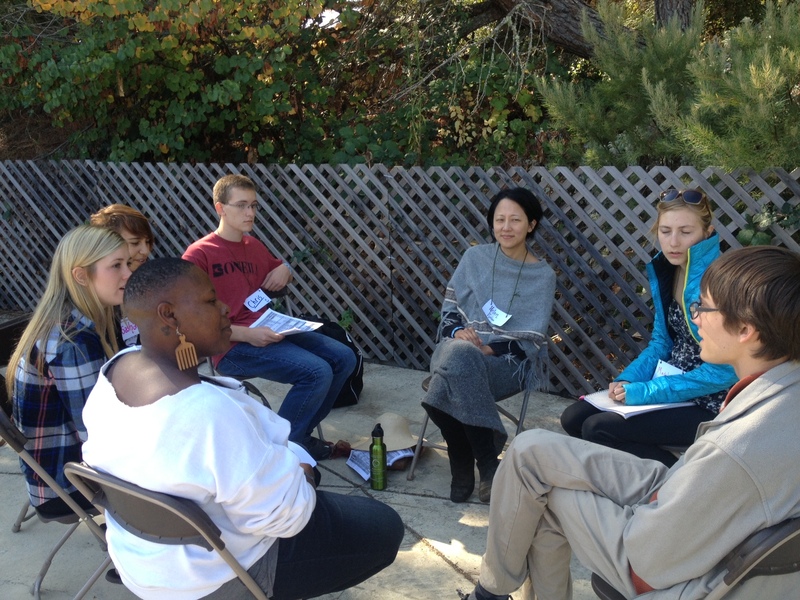 What if we listened to young people alongside adults, community members as well as so-called “experts”? What wonders might we learn, and how much more effective might we be in building something better? The stories from the People’s State of the Union have been collected at the USDAC Story Portal. Visit, search, and share your own.